Uno: Every special educators favorite game. Am I right? Well, it's definitely one of my favorite classroom games. 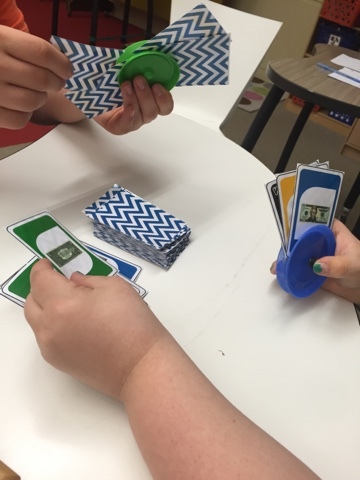 Uno works on color and number matching, which is simple enough for many students, but higher level students enjoy it just the same! 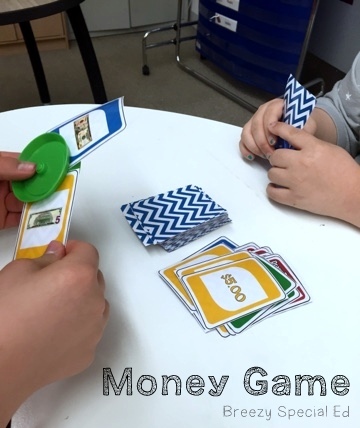 Since my students already enjoy (or at the very least, are familiar with) Uno I decided to make an uno-like game that works on money recognition skills! 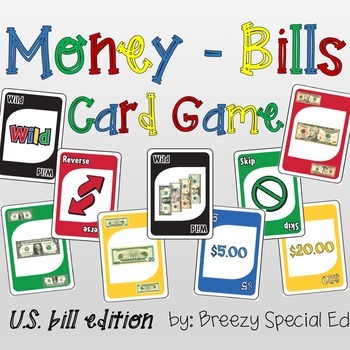 This game includes fronts of bills, backs of bills, and money values. 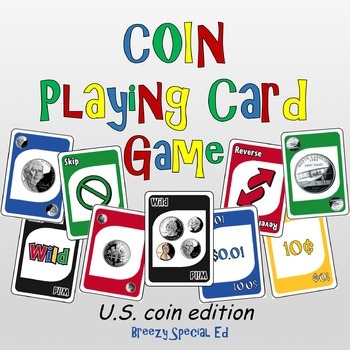 It also includes the "special" cards such as draw two, wild, reverse, along with a special wild card where the caller has to choose a money amount rather than a color. This product is available to download in my TpT store in both bills and coin versions. Just print, laminate, and cut and you'll be ready to go! Do you like our card holders? They are great for students or young kids who have a hard time holding onto all their cards! Find similar ones here. HOT DEAL - Free Clothes and Help Out Schools!